I travelled a pretty familiar arc with Al’s stealthily ingenious Milli Vanilli parody “The Plumbing Song” At first, I grudgingly enjoyed it as a characteristically overachieving exercise in inspired, rock-solid comic song craft overcoming a fairly hack conceit and source material that, needless to say, doesn’t exactly measure up to the Michael Jacksons and Madonnas and Nirvanas of the world. Then the song grew on me. Oh lord did it ever grow on me. It grew on me the same way “Taco Grande” grew on me, and that the Milli Vanilli “originals” Al is parodying grew on a world that should have known better but has never been able to resist a catchy pop song, particularly one that came in such a slick, shiny, if ultimately fictitious package. “The Plumbing Song” is a quintessential ear worm, a song so ferociously infectious that you cannot get it out of your mind no matter how badly you might want to evict it from your consciousness. Then I grew to kind of love it. 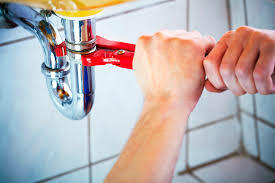 I’m not sure I want Al singing, “Call the mensch with the monkey wrench!” to ricochet through my brain constantly, almost as if on a loop, or to never think those words again, but Al’s wordplay in “The Plumbing Song” has certainly gotten under my skin in a most delightful way. I’ve written extensively about the bubblegum, ephemeral nature of Al’s parody choices on this album (MC Hammer, Gerardo, New Kids on the Block) but Milli Vanilli are on a whole different level. Heck, they weren’t a legitimate musical act like the legends Al has spoofed through the decades but rather something more like like a low-level criminal enterprise, a strange, cynical exercise in pop music fraud that briefly catapulted two handsome, talented morons to international fame, and Grammy victory, for pretending to sing ditties that at their best were as insanely infectious as they were utterly banal. The premise of the plumbing song can probably be divined by its title. Al has never been afraid to nosh hungrily at the trough of the Great Joke Subjects, so the only real surprise here is that it took Al eighty songs and seven albums to finally get around to mining the comic gold of stuffed-up johns and showers gone kaput. Given the prominent role commercials and commercialism play in Al’s oeuvre, it’s worth noting that the song begins and ends with snippets of a fake commercial and could itself double as an unusually long, ambitious musical commercial. Mimicking the vocal tics and gimmicky delivery of the original song with annoying meticulousness, Al assumes the perspective of an ordinary man advising a friend with plumbing problems to seek professional help from the kind of guys who make “service calls” in their “overalls” because he personally is helpless when it comes to aiding in such matters. The joy in “The Plumbing Song”, and at its best, the silliness here is nothing short of sublime, comes from how perfectly and completely Al is able to replace concern over plumbing problems with the original song’s romance-themed lyrics. But in true “Weird Al” Yankovic tradition, there’s also a palpable joy in wordplay and words, particularly the many fun, gross words related to the plumbing industry. Whether he’s proclaiming, “If hairballs, grease and goo, won’t let the water through/Won’t let the water through/Blame it on the drain” or “If Drain-O’s a joke and your plunger is broke/Baby call the mensch with the monkey wrench”, Al gets the very most out of the world of plumbing. One might even go so far as to say that he plumbs this material for all its worth. But not me. I am not going to engage in that kind of wordplay. That would be silly, and here at the Weird Accordion to Al we make service calls in our overalls, we blame it on the drain, and also we are never afraid to call the mensch with the monkey wrench, but we do not engage in silly wordplay. No, we do not. Not even a little bit. Exploiting the Archives!Nathan Rabin September 28, 2017 Louis C.K.